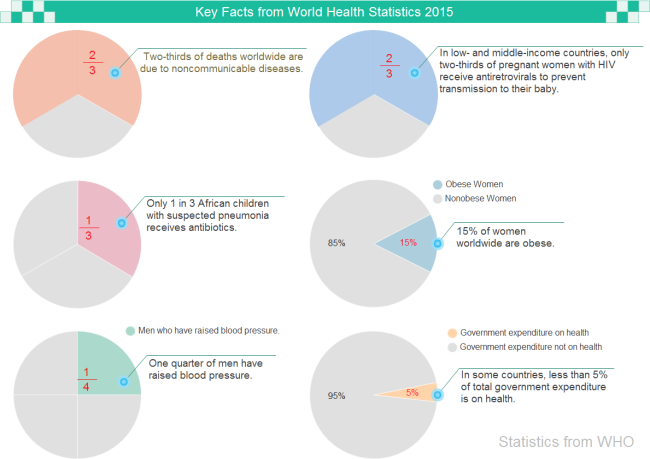 Description: A group of health facts from WHO. Presented in pie charts, the numbers become visualized. Download and edit this example to show other figures.